William Arthur is proud to be based in Maine since 1987, with nearly all of our stationery products designed and printed right here at our facility in West Kennebunk. Our state is a bustling center for world-renowned companies making beautiful, luxury consumer products. We are delighted to celebrate the authenticity of some fellow Maine companies. Quoddy footwear located in Perry, Maine [with a workshop in Lewiston] has been hand-making their classic moccasins, shoes, and boots for generations. In fact, the art of hand-sewing shoes goes back hundreds of years in Maine. Recently, Quoddy further extended its Made in Maine reach by becoming one of J.Crew's In Good Company brands. Click on image above to learn more in a Thos. Moser video. John and Carolyn Grace founded Swans Island Blankets in 1990 when they moved from Boston [where they practiced law] to Swans Island. They knew that Maine islands were traditionally sheep islands, and eventually found people who raised sheep. The Graces learned how to make their own dyestuffs and soon, how to make blankets. By 1996, Swans Island Blankets was nationally recognized and won a Smithsonian Blue Ribbon for craft. In 2003, John and Carolyn joined a small group of partners and moved the company with looms and sheep to a 1780s farmhouse in Northport, Maine. 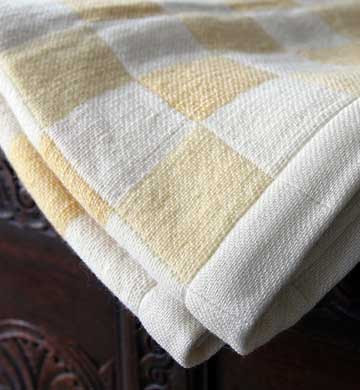 The company, now known as Swans Island, produces other woven products in addition to blankets, using both summer and winter weight fabrics; all made in authentic fashion to the highest possible standards. 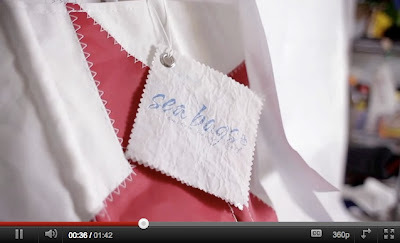 Click on image above to learn more in a Maine Tourism Sea Bags video. We cannot talk about Maine craftsmanship without mentioning boat building! Maine's boat building heritage spans four centuries, ranging from luxury yachts to workboats and canoes. Our state also has some of the leading boat building education facilities in the country. Maine Built Boats is a non-profit organization that was established in 2005 to strengthen Maine's boat building industry. With members ranging from Artisan Boatworks founded in 2002, to Hinkley Yachts founded in 1928, Maine Built Boats has 50+ member companies and is growing. Their mission is to market Maine's old-world craftsmanship, innovation, and cutting-edge technologies both nationally and internationally. 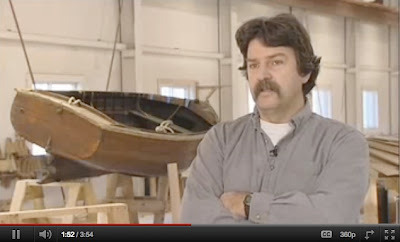 Click on photo below to see Maine Built Boats video vignette of member Steve White [E.B. White's grandson] talk about his family business, Brooklin Boat Yard in Brooklin, Maine. There is a lot to discover and appreciate about our state of Maine beyond its stunning natural beauty. And, we are proud to recognize these companies and the quality of these Made in Maine products. It's our love of craftsmanship that connect us as spirited Maine companies.